Ultrex foot pedal takes classic heel / toe steering and adds instant response! 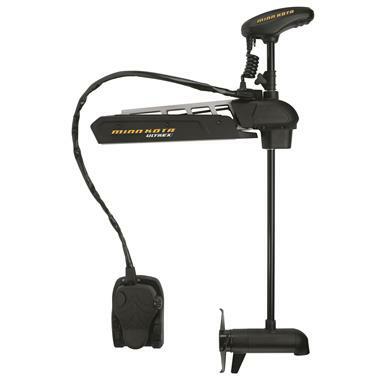 Minn Kota's power steering system lets you run the foot pedal with almost no effort. Keep the same control all-day without the typical foot fatigue. Engage the Steering Lock and the motor keeps the same direction you had when your foot left the pedal. Look on to a proven fishing spot, or set a course directly just using the foot pedal. Advanced maneuvering was never easier! Take command. Conquer the lake with your Ultrex today! Mfg. Number: 1368810 - 45"
Mfg. Number: 1368811 - 52"
Mfg. Number: 1368812 - 60"